Detox is an objectively popular topic in the world today. It basically involves flushing out accumulated toxins in the body. Detoxing is not a simple or easy process as many people think. It can be a totally uncomfortable, painful and dreadful procedure with some risks involved if proper measures are not taken. It is therefore very important that everyone learns how to detox opiates. In this content, you are going to learn everything you need to know about how to detox opiates. Did you know that opioid epidemic is a venomous phenomenon that is sweeping the US and the entire world today? I thought you should know. When the word opiates is mentioned, many people become overwhelmed by fear due to the news spread about the danger and deaths associated with opiates withdrawal. The key purpose of this article is to help you know how to detox opiates in the most effective way. Opiates are very addictive in the sense that they activate parts of the brains related with pleasure. By taking opioids or painkillers, a person becomes chemically dependent on these drugs and it becomes difficult to control the urge of having the drugs. In the quest of overcoming this addiction, an individual can become overwhelmed by the emotional and physical withdrawal symptoms that are quite challenging. Nonetheless, an individual looking for recovery from opiates addiction can succeed if proper recovery procedure is followed. The most important thing is to understand how opioids affect the brain and what can be done to overcome the addiction the healthiest and safest way. According to how a human being is formed, the body system is fashioned in a way that it naturally produces opioids that helps the body to naturally regulate stress and pain. These opioids are connected to special receptors in the brain for effective pain and stress control. When a person is going through a lot of pain or stress, chemical opioids are usually administered for a quick relief. These chemical opioids are significantly stronger than the natural opioids produced by the body. After using these opioids for a while, they flood the entire body system hindering the body to produce its own neurotransmitters. The person therefore becomes dependent on chemical opioids and the withdrawal symptoms becomes tremendously challenging. Are You Looking For The Most Effective Way To Get Off Opiates? Opiates withdrawal is a step by step process since drug withdrawal poses a set of emotional and physical withdrawal that can be exceptionally tough to endure. But, you should keep in mind that withdrawal is a temporary phase and so an opiates recovery victim will only endure the pain for a short while. In order to make the withdrawal and recovery process a less overwhelming stage, it is good to know what to expect during the detoxification process. This knowledge lessens the pressure and anxiety associated with opiates withdrawal. 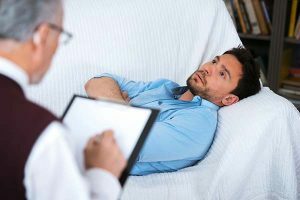 This stage is usually coupled with a lot of psychological pressure and if the victim is not handled by a detox professional, it is easy for him to give up or encounter some life-threatening symptoms. During detoxification, withdrawal symptoms vary between different individuals. For short-acting opiates, withdrawal symptoms begins within 12 hours after the last dose, while the long-acting opiates face withdrawal symptoms starts within 30 hours after the last dose. In the first phase, an opiate recovery patient experiences a lot of agitation, restlessness and fever. Flu-like symptoms are also present. These symptoms lasts up to five days after the last dose. In the second phase of opiate recovery, there is a lot of depression, chills, cramps and cravings. These can last for up to two weeks. During the third stage, the recovery patient experiences mood swings, insomnia, cravings and anxiety and these might last for up to two months. It is at the mark of 72 hours after the last dose when the symptoms worsen and the opiate addiction recovery patient must be kept under complete medical supervision. The good news is that these symptoms are not permanent. They are only intense in the first two days and by the end of the fifth day, most of the above physical symptoms of withdrawal will have disappeared. Though the psychological symptoms and drugs cravings may persist for several weeks, they will eventually disappear. Which Is The Best Course Of Opiate Treatment? In order to combat opiate addiction, it is important to find the best course of treatment. There are very many options available but it is equally important to find the most effective option that suites your lifestyle. Each treatment option has got its pros and cons as well as its rates of efficacy. How Long Is Opiate Detox Duration? Opiate withdrawal duration mainly depends on the severity of the dependence. Therefore, it is not easy to verify a specific timeline for opiate withdrawal since it depends of several factors like addiction severity and age. Due to the intense withdrawal symptoms associated with opiates detox, medical intervention is a great idea. This will help make the withdrawal process more comfortable. Need Help With Opiates Detox? Opiate detox is a very uncomfortable and dangerous exercise. There has been some suggested home remedies for opioid detox but due to the medical complications that are most likely to occur, it is very important that an opiate recovery patient seek medical intervention from an opiate detox professional to ensure maximum safety and protection and prevent severe complications. Why suffer from opiates withdrawal while you can find help. Call a professional doctor now and find help with your opiate addiction problem. Opiates recovery patients ought not to underestimate the complications of withdrawal since they are not only unpleasant but also life-threatening. If the case is not handled adequately, it can even result to death. Due to the severe vomiting and diarrhea, if the condition remains untreated, it can result to dehydration which can cause death. The elevated blood sodium level, also known as hypernatremia can result to heart failure if not adequately monitored. Cases of people dying of opiate withdrawal have been reported but they are all preventable and if right medical intervention is provided. In order to help opiates addicted victims to recover safely throughout all the stages of withdrawal, addiction recovery services have been instigated to offer the best support to the patients. During opiates withdrawal, suicidal idealization is an almost obvious phenomenon. 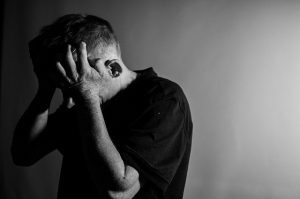 Though not every opiates addiction recovery patient will feel suicidal, most individuals undergo through the state of depression and this can be quite overwhelming. This is one of the key reasons why support is needed to protect recovering addicts to overcome addiction safely. Most addicts are overwhelmed by great fear of how life will be without drugs. Some feel like life will never be any better without opioids. Strong support is needed to help the addicts recover safely. They also need someone to help them understand that those severe withdrawal symptoms are only present for a short while and that they are going to enjoy a drug-free life. This support protects them from possible chances of relapse or self-harm. It is quite essential that proper support is given to addicts recovering from opiates addiction so as to protect them from relapse. Relapse can be dreadful after withdrawal. After withdrawal, what seemed to be a normal dose can shift to be a deadly overdose to the victim and the situation can be terrible. This is due to the fact that the body has now become more sensitive to the drugs because the patient’s body is no longer accustomed to the drug. Looking For The Best Drug Rehabilitation Programs? After understanding the risks of opiates detox, you now know why you need to identify the best drug recuperation programs that offers a sturdy support network to help recovering addicts throughout all the stages of withdrawal recovery. Look for the rehab programs that provide the unsurpassed environment for effective and lasting drug cessation. Is Drugs Replacement Good To Detox Opiates? To help reduce the severity of opioids withdrawal symptoms, many addiction clinics offer alternative medications to the addicts. Substitute drugs like suboxone and methadone are commonly used to alleviate the effects of substance dependence. 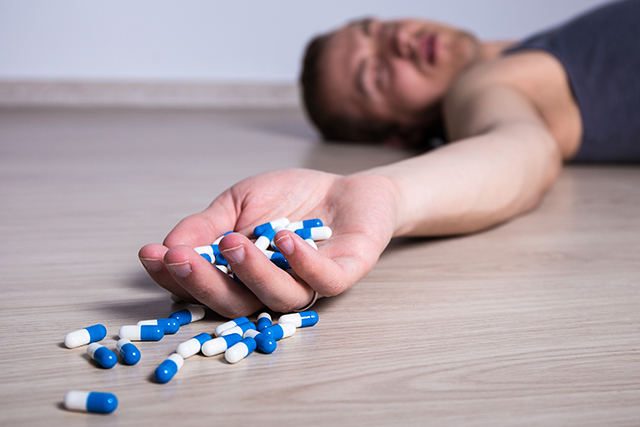 Nevertheless, opiates addicts still go through withdrawal when weaning off the supplementary drugs. In this case, addiction recovery can take longer when these alternative medical aids are provided. If not properly administered, chances of abusing these medications are high. Is It Safe To Detox Opiates At Home? There are many home remedies for opiate recovery and each self-detox program affects individual addicts differently. Due to the risks associated with opiates withdrawal, it is highly advisable you contact an addiction specialist before participating in a home opiates detox remedy. One of the key reasons why some users prefer to use a home detox option is the need for privacy. This is especially in the case of school-aged children who do not want their parents to notice of their addiction problems. Parents should therefore be at the forefront to monitor their children’s change of behaviors and be ready to support them immediately they notice of any opiate addiction. However, for safety, doctors recommend that opiates addicts be taken to a rehabilitation facility rather than using an at-home treatment. There are many factors that lead to opiates dependency in children and adults as well. It could be abuse of a medical prescription or taking illegal opioids. Peer influence and lack of sufficient education and training on drugs abuse has contributed to the increasing rates of addiction every year. The government in different parts of the world has been organizing drug awareness campaigns to mobilize and sensitize the society about drugs so as to create awareness to every person about the reality of the risks and negative effects of substance abuse. Are You Having A Serious Opiates Dependency? Anyone with a serious opioids dependency should consider seeking help from addiction recovery specialists. It is equally important that opiates addicts avoid home remedies due to the risks involved with opioids withdrawal. The best thing is to seek help from professionals. Many people suffer drug addiction in secret due to fear and shame and this should not be the case. Gone are the days when drugs and alcohol addicts used to be regarded as a social outcasts. Due to the increasing global drugs and alcohol campaigns to create awareness on drug abuse, many rehabilitation facilities have been set up to help anyone with substance abuse problems. Therefore, speak up and talk about your opioids addiction issues and you will find help. For you to know the safest and most effective opiates detox methods, it is advisable you know the percentage of individual detox method success rates as well as its facts to find the method that works for you. Go for one that meets your specific needs and suites your lifestyle. For instance, if you are working on a very tight schedule or overwhelmed by family responsibilities, an in-patient rehab program might not work for you. It is also good to know the pros and cons of each opiates detox method beforehand for you to be psychologically prepared on what to expect as you participate in this exercise. For best results, a combination of different forms of therapies is highly recommended. These are long-term residential facilities that guarantee a 90% success rate whereby addicts are encouraged to help themselves. The approach behind this method is that drug addiction is a result of personal, educational and psychological problems but not a disease-based matter. Addiction specialists implement a combination of supportive and confrontational methods as a way of helping users understand their key positions in the society and help them see how life can be better without drugs. The aim of this approach is to help opiate users overcome their fears and concerns and learn how they can re-enter the society with acceptance and embrace living a life without drugs dependence. Therapeutic communities are very effective and the longer an individual remains in the program, the more he/she becomes stands a chance of living a drugs free life. One of the key shortcomings of therapeutic communities is that they are both physically and psychologically demanding resulting to high drop-out rates. For best results, medication as well as other therapies can be used alongside the therapeutic communities so as to ensure success in recovery. Naloxone is an opioid antagonist which is an effective medication used to help users from opioids overdose. It functions by binding opioid receptors implying that the user does not suffer severe withdrawal symptoms. Victims overdosing on heroin gain a lot of relief after using naloxone detox therapy. This medication can either be administered as a nasal spray or in form of intravenous. This is one of the latest treatment methods for opioid recovery which has a success rate of 88%. The addiction recovery specialists implants four rods comprising of buprenorphine beneath the skin of the inner arm. The implants are effective for six months thus very effective since the user can use these medications with better consistency and cannot sell or misuse the medication. There is a risk associated with implants drifting, protruding or being ejected from the body though not easily. It is expensive – the user spends about $825 every month. Majority health insurance companies covers probuphine medication although the benefits are worth the cost. Suboxone is a medication commonly used help individuals in withdrawing or detoxing opioids. This drug is a combination of naloxone and buprenorphine. Buprenorphine is a mild opiate while naloxone is a strong medication used to reverse effects of opiates. This combination produces a mild high thus assuring a minimal danger of diversion as well as reducing the risk of intravenous use. Suboxone can be possibly addictive and coming off suboxone involves some withdrawal symptoms. The user experiences increased drowsiness if other drugs or alcohol are used. Suboxone overdose can result into slow breathing, convulsion, seizures, confusion or even death. Though methadone is an opiate and a painkiller in itself, it can function as an opiate addiction treatment and most importantly to prevent withdrawal symptoms. This is one of the most successful opiates detox method that offers 66-84% success rate. Doctors use anesthesia sedation on the victim within two days of addiction recovery medication. They administer an opioid antagonist called naltrexone that speeds up the process and symptoms of withdrawal. The user does not suffer the uncomfortable withdrawal symptoms. This medication is not affordable to all since it costs about $10,000. Inpatient treatment refers to the situation whereby opiates addicts are taken to the hospital for treatment. The duration of treatment depends on the severity of addiction and the patient can be admitted in the hospital for three days or longer. When an opioid addicted patient visits the hospital, the doctor carries out a thorough diagnosis to decide whether the patient meets the criteria to be taken in for inpatient treatment. Inpatient treatment is suitable for opiates users who previously failed at outpatient treatment or have medical or psychiatrist illness. It is also suitable for patients who are using other drugs concurrently or those using opioids intravenously. In some drug rehabilitation centers, they use therapy-based inpatient treatment that involves counseling, education and behavioral training. Other treatment facilities incorporate various services and techniques to aid in successful recovery. This may include medical care, drug education, family therapy, personal psychotherapy, coping procedures and much more. Inpatient treatment is not suitable for nursing mothers since childcare is rarely offered in many rehab facilities. If you have been on opiates dependence for a while, I know you really want to come out of those nasty hangovers and start living a drugs-free life. Now that you really want to bring your life back on track, you need to seek help from an addiction recovery specialist. Detox is the first stage that marks the beginning of recovering from problems caused by opiates addiction. It only takes just some few painful episodes as your body trains itself to function without the use of opioids. Your determination and consistence determines the speed of opioids recovery. Call a drug rehabilitation center near you and start an exuberant journey to a drugs-free living. Looking For The Best Drugs Rehabilitation Facility? If you or your loved one is suffering from uncontrollable use of opioids, you can find help. Opioid dependency is dangerous and harmful to your health. Stop opiates addiction today and live a drug-free life. Call a doctor now and bring your life back on track.